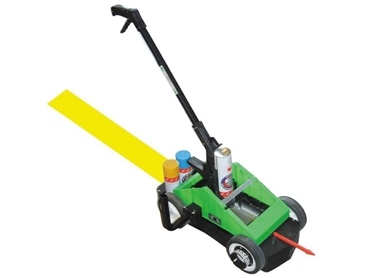 Australian Warehouse Solutions manufactures Rhino line markers, simple one-handed machines that are specially designed to fully expel paint cans. Ensuring user friendly operation and perfectly straight lines, Rhino line markers feature a hard wearing and tough design. a range of colours - black, white, yellow, red, blue and grey.